Common engineering firms do not have 20 years experience in MEP contracting. Mechanical facilities, shortly MEP, is the heart and soul of buildings. But planning and construction services are not the most important basis of construction projects. We specialize in project management and client consulting. Our construction client consultant HVAC and MEP are experienced in practice and theory since 1996. That combination makes our advise quite unique. As a MEP construction client consultant we make concepts economic and explain comprehensible to builders, owner or engineer. During planning phases our MEP design managers check and coordinate external Architects and MEP & HVAC designer. Later our MEP contractor coordinator assists and coordinates job tasks, contractors and compliance with work safety rules. As an expert witness for HVAC we always help with case studies, simulations, expert reports and fault diagnoses. Zebtec™ - Project success on time. Our MEP and HVAC design engineer do simplify the design of related disciplines. According to the 4 elements (water, fire, earth, air), we offer complementary MEP design in all project phases, from concept to detail engineering. Requirements and the task will be recorded in a technical specification schedule, by taking into account applicable standards, guidelines and state of the arts. If necessary, we create as built plans . Our services are therefore also perfect for planning teams, engineers and builders - for optimizations and in all other project phases, worldwide. HVAC-Check is the quality audit for MEP designs. We monitor and check externally produced HVAC drawings and documentation according to established criteria. Far beyond the requirements of the VDI 6026 we can optionally check for compliance with economic and technical engineering targets. Uncover potential for optimization and discipline interfaces in carrying out our audit of MEP drawings. HVAC-Check is provided as an online service and on the customers site. Zebtec™ - Ensuring design quality. 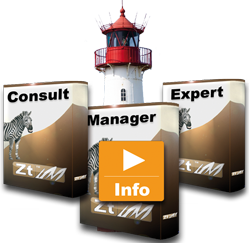 The brand name Zebtec originated from the words Zebra and Technology. This reflects our roots from southern Africa. With a neutral brand image, we offer professional engineering and consulting for heating, ventilation and air conditioning (HVAC). Supporting international HVAC projects for organizations, companies, industry, chemical-, pharmaceutical and power plants. Copyright © 2016 This website, the Zt™-Logo, the Zebtec™-brand and all layouts are owned and protected by Zebtec (PTY) Ltd. HVAC Engineering. All rights international reserved. All other trademarks are the property of their respective owners.